Our range of products include ferrous sulfate, sodium thiosulfate, manganese sulfate, copper sulfate, magnesium sulphate and sodium sulphate. Ferrous Sulphate is the chemical compound with the formula FeSO4. It is used medically to treat iron deficiency, and also for industrial applications. Known since ancient times as copperas and as green vitriol, the blue-green heptahydrate is the most common form of this material. Manganese Sulphate usually refers to the inorganic compound with the formula MnSO4(H2O). This pale pink deliquescent solid is a commercially significant manganese salt. This chemical is processed using supreme class basic chemicals as per the set industry norms under utmost favorable conditions. High in demands in industries like agriculture, animal feed, fertilizer, etc. we assure our clients that offered chemical is sternly monitored on various parameters to ensure its optimum quality. 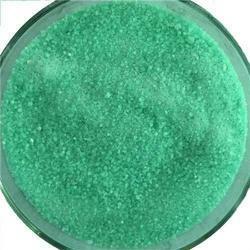 Copper Sulphate is a very versatile chemical with extensive range of uses in industry. It is used as raw material for the production of many copper salts. It is Sulphonation of Copper. It is generally available in 5H2O (Crystal) form, though anhydrous is also available. 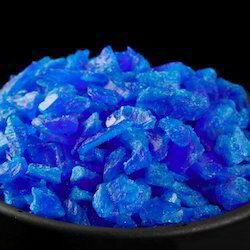 Copper sulphate, blue stone, blue vitriol are all common names for pentahydrated cupric sulphate, which is the best known and the most widely used of the copper salts. 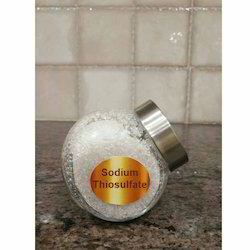 Magnesium sulphate is an inorganic salt containing magnesium, sulfur and oxygen, with the formula MgSO4. It is commonly used as a desiccant in organic synthesis due to its affinity for water. These are used in various industries for various purpose. Sodium sulfate is a chemical compound that can be found as a mineral in nature or derived from certain industrial processes as a by product. It has many commercial applications and is classified as a non-toxic chemical under normal handling circumstances. 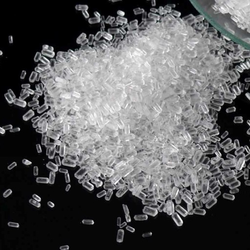 Inspection of practically any bottle or package of soap or detergent product will reveal some form of sodium sulfate, and it is also used in other manufacturing industries such as paper and textiles. · Animal feed industry etc.